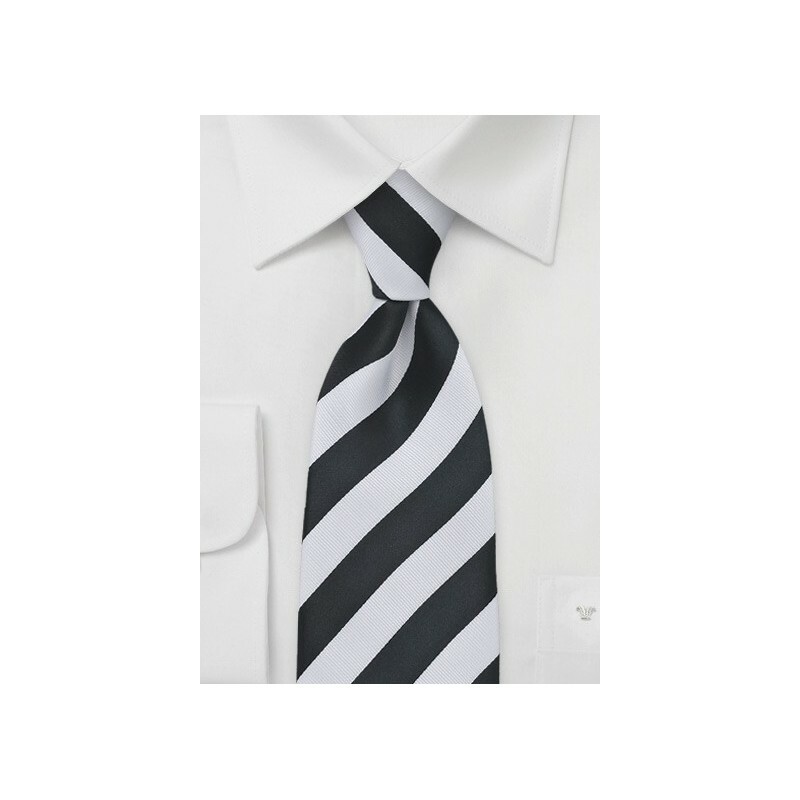 Add a healthy dose of dapper charm to your next ensemble with this elegantly simple striped tie in quintessential shades of black and white. 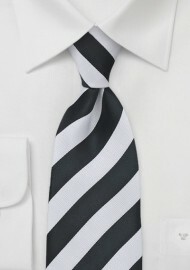 The debonair design of the tie is a perfect accent for professional and casual occasions. Make a masculine and handsome statement by pairing this stylish menswear accessory with a well pressed white dress shirt and tailored black suit. This versatile XL necktie is a designed by Puccini and crafted from a high quality, wrinkle resistant microfiber.